into chunks. Cook, stirring occasionally, until the meat is cooked through and golden brown, about 8 minutes. Meanwhile, make the sauce by whisking together the Mr. Spice Sweet N Sour Sauce, ginger, and garlic in a medium bowl. Add the cabbage, carrot, and sauce to the hot pan, stirring to combine. Cook until the veggies are just softened and the sauce has reduced slightly, about 2-3 minutes. 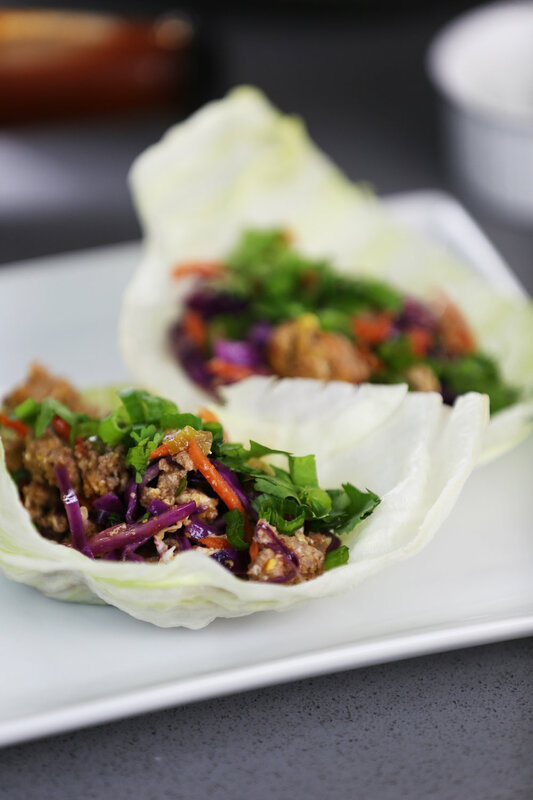 Serve in lettuce cups, adding toppings if desired.